With hair as short as mine, getting ready in the morning takes some time to tame the short ends that stick up. And for someone who values sleep (and sleeping in), a quick way to tame my hair is always a plus. 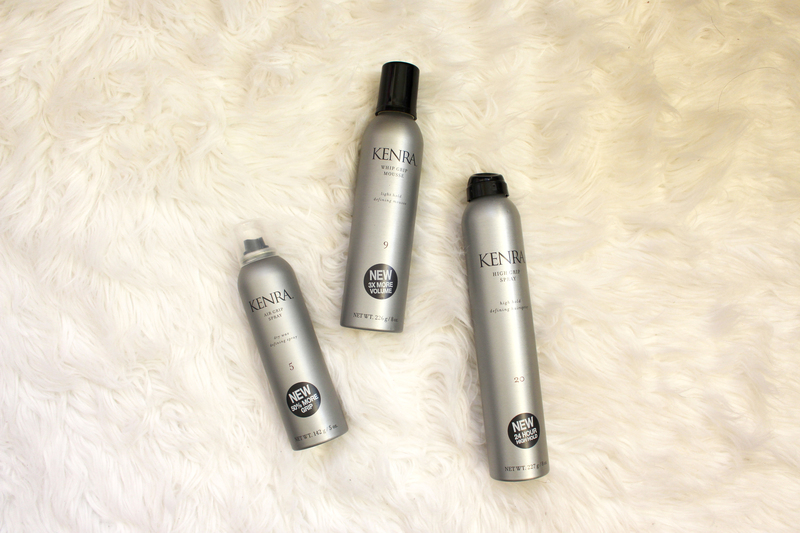 With the Kenra hair products, I was able to try out a mousse and two hair sprays. The mousse does add in some volume, but nothing extravagant as I already have fairly thick hair. However it does help bring back some fluff when I have day old hair. Now for the sprays, they come in two different strengths indicated by their numbers. The smaller bottle is less hold, and with enough sprayed on my hair, it does make my hair stiff and in place. However it does not hold to the end of an 8-10 hour work day. By the end of the day, my hair becomes soft again as if nothing was sprayed on. The larger aerosol bottle claims to be a stronger hold. However I have experienced a similar experience and still end the day with softer hair than when I started. I must say they do have a pleasant fragrance. The hold may be more distinct with more sprayed on, but I have yet to test that out. Overall, the hairsprays don’t leave a big impression but the mousse is a nice staple to add some volume back into flatter hair.